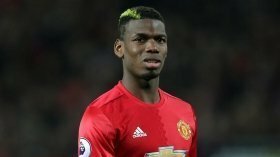 Juventus are reportedly monitoring the proceedings of Manchester United midfielder Paul Pogba with a view to a possible transfer approach at the turn of the year. The France international has endured another mixed campaign with the Red Devils and his future has been called into question after being benched in three of the previous four matches. According to Tuttosport, the midfielder is understood to have experienced a complete breakdown in his relationship with manager Jose Mourinho and he could potentially make way from the club in the near future. It is added that the Bianconeri are among the frontrunners to re-sign the Frenchman with their hierarchy already in discussions regarding the possibility of luring him back to Turin. Despite the speculation, Mourinho recently spoke glowingly about Pogba in the post-match conference following the Fulham game and confirmed that the midfielder would start against Valencia in the midweek Champions League clash.